Microsoft silently rolled out OneDrive for Business Next Generation Sync Client for Windows 10, Windows 8.1, Windows 8 and Windows 7. I said silent roll out because I missed this some how. I've learned about it when some of my users started having sync problem using their files on OneDrive or SharePoint. By the way just a friendly reminder, the free upgrade to Windows 10 is until July 29, 2016. There is no reason not to upgrade to Windows 10. 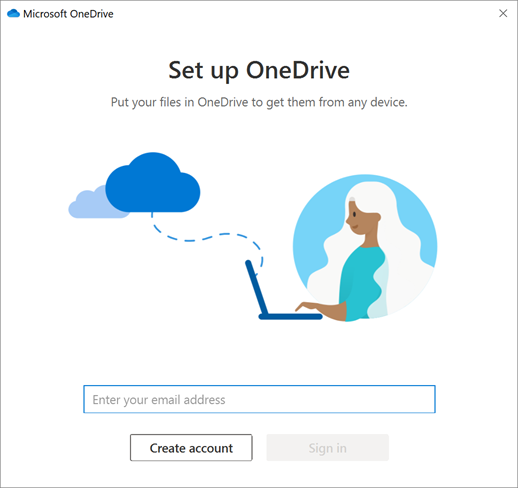 If you're using Windows 10 or Office 2016, you probably have OneDrive client on your workstation. You can skip to Step 2 below. Search "onedrive" to check if you have it. You should see a OneDrive Desktop app. 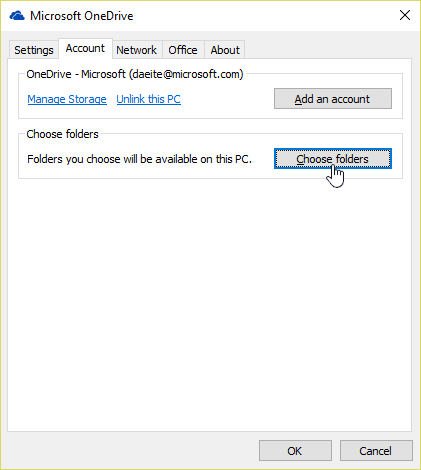 Install the Windows version of the new OneDrive for Business sync client. It's a simple process to install. You don't need to restart your computer. 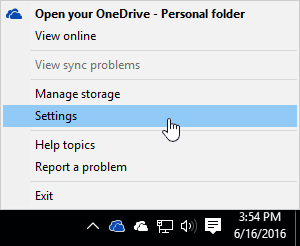 In the task bar navigation area, right-click the white OneDrive cloud icon and select Settings. When OneDrive Setup starts, enter your work or school account, and then select Sign in to set up your account. 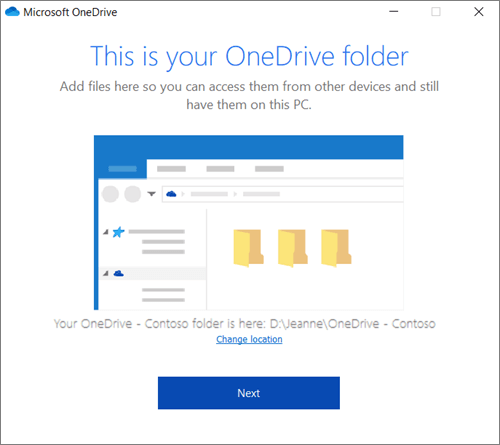 Note: If you were already syncing OneDrive for Business to your computer (using the previous sync client) and you've just installed the new OneDrive for Business sync client, you won't see the This is your OneDrive folder or the Sync files from your OneDrive screen during OneDrive Setup. 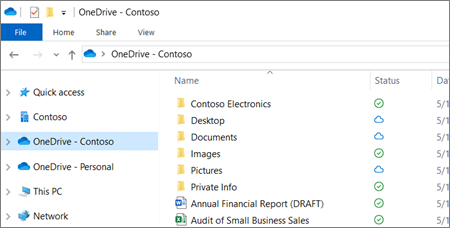 The new OneDrive for Business sync client automatically takes over syncing in the same folder location you were using before. To choose which folders you're syncing, right-click the blue cloud icon in the taskbar notification area, and select Settings > Account > Choose folders. You're all set. 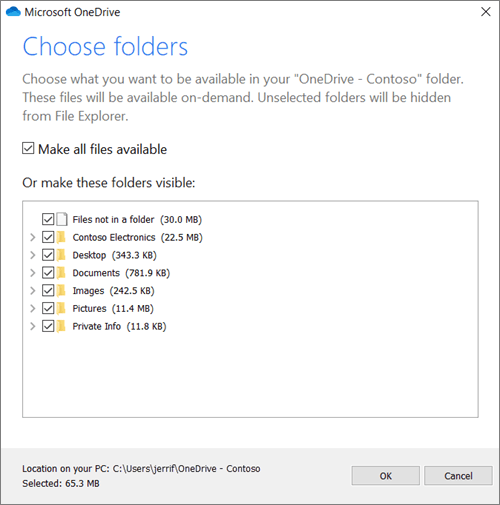 Your OneDrive for Business files will also appear in File Explorer window in the OneDrive – [YourTenantName] folder. You now have a new blue cloud icon in your notification area and your work files are synced to your computer. 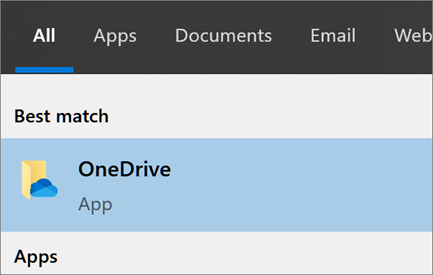 Your blue cloud icon will appear as OneDrive – [YourTenantName] when you hover over the icon. Any time you want to change the work or school folders you sync on your computer, right-click that blue cloud icon in the taskbar notification area, and select Settings > Account > Choose folders. 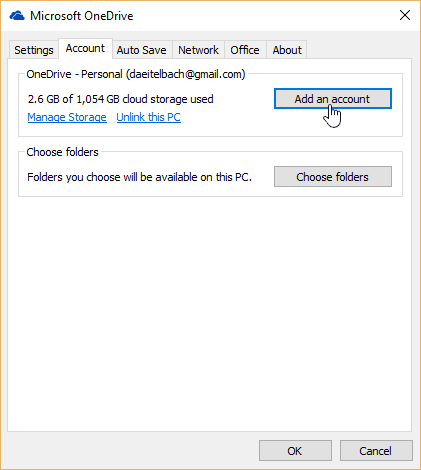 Find other information about your account and change other OneDrive settings from here.